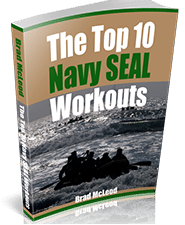 Check out the Stronger Faster Healthier (SFH) discounts and coupon codes. 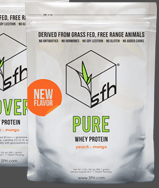 SFH whey protein is made from free-range cows (not stuck in a pen) that are grass fed (not fed corn/grain). No antibiotics or growth hormones are used with these animals so you know you are getting a clean fuel for your body. You get all the essential amino acids that your body needs every day so that you can recovery quickly and get stronger in your sport. SFH mixes easily in water and has a quick absorption rate in your stomach. All whey proteins differ in lactose content, fats and calcium and Pure Whey has low lactose content (averaging about 1.8%); is low in cholesterol; and high in free calcium. SFH is an excellent protein choice for all ages including children and provides a number of benefits in areas including sports nutrition, weight management, immune support, bone health, and general wellness. If you are concerned about your child’s food choices, Pure Whey, with 89% protein content is an excellent choice to help kids grow up healthy. As a dietary supplement, mix one scoop with 6-8 oz water or milk (skim, whole, raw, almond). Recommended to be taken in the morning, but may be taken anytime. Store in a cool dry place. Do not refrigerate. A container is 30 Servings. For nutrition information, download the product label. Sometimes after a workout, you feel like you’ve recovered but at the cellular level, you haven’t fully recovered yet. Recovery is 2/3 whey concentrate derived from grass-fed, free-range cows that are never treated with antibiotics or bovine growth hormones and 1/3 essential amino acids for recovery. *Please note that glucosamine is derived from the shells of shellfish. Although allergic responses to glucosamine have not been reported, if you are allergic to shellfish you should be fully aware of this issue and either totally avoid this product or consult your health care physician before using. 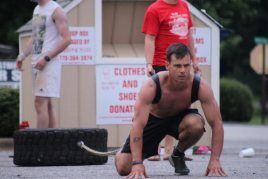 SFH was founded in March 2010 as a separate division of Maine Natural Health dedicated to Sports Nutrition. SFH products are designed, formulated and produced in the same facility as the MNH products in Warren, Maine. Our key products are SFH Omega-3 Oils and SFH Whey Protein Supplements. Both products are from natural sources; our omega-3 oil comes from finely processed fish oil and the whey protein is derived from milk. Used together, these products will contribute to your overall health by reducing inflammation and increasing muscle mass. Question: Where can I find discount deals on SFH? Check out discounts and coupons at Wodshop.com and RoadRunner Sports.com as they always have fresh deals going on. What about military discounts? I don’t think there are any.